Central Ohioans Against Terrorism: Where’s CAIR on Christopher Paul? Earlier this month Christopher Paul stood before a federal judge in Columbus, Ohio and pled guilty to receiving training in Al-Qaeda terror camps in Afghanistan and Pakistan, fighting with Al-Qaeda in Afghanistan and Bosnia, and passing that training on to other Muslims in the US and Europe with the intent to kill Americans at home and abroad as part of a plea deal with federal prosecutors to avoid conviction on even more charges. Since then, however, the Council on American-Islamic Relations (CAIR) has been curiously silent on Paul’s guilty plea, with no press releases, media interviews or angry editorials on the matter for nearly three weeks. And any mention of Christopher Paul and his Columbus Al-Qaeda co-conspirators has been tellingly scrubbed from CAIR’s website. Ahmad Al-Akhras, vice chair of the Columbus chapter of the Council on American-Islamic Relations, knows Paul and said the charges are out of character. Al-Akhras said he and others in the Muslim community are guarding against a public backlash. Two of Christopher Paul’s Ohio Al-Qaeda associates, Iyman Faris and Nuradin Abdi, are already serving prison sentences for their role in the Columbus Al-Qaeda cell (from court documents at least 10 others are known to have been involved, but have not yet been charged). As noted by Andrew Cochran at Counterterrorism Blog, Paul’s admission to his extensive collaboration with international terrorist plots going back to the early 1990s and the statement of facts in the case indicates that he is the earliest known American Al-Qaeda operative. 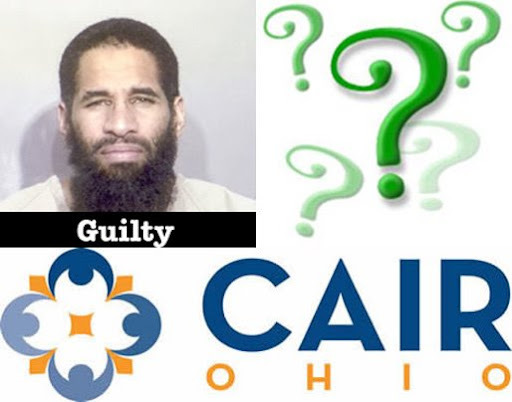 In each of these cases of the Columbus Al-Qaeda cell, CAIR has initially rushed to publicly defend these men from the charges and to flog their own grievance-mongering agenda. But as the full scope of their involvement in the terrorist network became clear they attempted to distance themselves and their organizations from the terrorist network, while still attempting to promote their agenda and give their terrorist associates as much cover as possible. An Islamic religious leader said an Ohio trucker who pleaded guilty to felony terrorism charges had once claimed he was possessed by demons and attempted suicide. Mouhamed Nabih Tarazi volunteers as an imam to lead prayer services at various sites around Columbus. He performed the marriage ceremony for Iyman Faris, but said Faris did not attend services regularly because he was often on the road. Tarazi said he never heard Faris talk about politics, but thinks he might have been mentally ill.
“He did have some mental problems. We did not know about these problems when he was married,” Tarazi said. Here Tarazi is attempting to deal with the guilty plea aftermath by simultaneously distance the mosque (Masjid Omar Ibn El Khattab, which was the hub of the Columbus Al-Qaeda cell) from Faris while explaining away his behavior with bizarre claims of mental illness and demon possession to still give cover for his friend — a claim that magically appeared only after the guilty plea. Nuradin Abdi’s arrest was more difficult for CAIR-OH to address as Abdi was known to have been an active in Masjid Omar and was one of the leaders of the local Al-Maghrib Institute (aka “Jihad U”) chapter. “What we know about him is unlike how he is portrayed,” said Ahmad Al-Akhras, president of the Ohio office of the Council on American-Islamic Relations. The group’s leaders questioned the evidence and the timing of the announcement of charges against Abdi, noting that the FBI has dropped charges accusing others of terrorism. “This may be one of the cases also that may not have enough evidence or there’s no evidence at all,” Al-Akhras said. CAIR-OH actively aided Abdi’s defense team by parroting their bogus narrative that Abdi had been tortured in prison by US officials and was exhibiting signs of mental illness because of this alleged abuse. As a physician, I am extremely concerned that his behaviors might indicate mental and possibly physical abuse during his detention, and that his mental injuries may be permanent. In court, Abdi looked nothing like a terrorist — or his former self. His family and the larger Somali community here were horrified to see Abdi enter the courtroom smiling vacantly and failing to recognize his own brother. Apparently unconscious of his surroundings, Abdi banged his head repeatedly on a table and grinned at nothing. Many who know Abdi in the central Ohio community say the vague, sensational charges against him are absurdly out of character. No photos have emerged of abuse in prison. But Abdi’s new attorney, his family and the community who knew him find little else to conclude. Some say he has apparently lost his mind under the conditions of his incarceration. The problem with Mobin-Uddin’s narrative of Abdi’s torture and mental collapse, however, is that she is a pediatrician, not a psychiatrist, and had a definite conflict of interest in her bogus diagnosis. And unfortunately for CAIR-OH, when actual mental health officials examined Abdi, they found that he was faking symptoms of mental illness in an attempt to avoid the 80 years in prison that he possibly faced. A federal appeals court also rebuffed his lawyers’ attempt to suppress incriminating statements he made at the time of his arrest. Notwithstanding Abdi’s eventual guilty plea, Asma Mobin-Uddin still features her Columbus Dispatch editorial in defense of Abdi on her personal website. And when a local Muslim columnist, Mahmoud El-Yousseph, conceded Abdi’s guilt and proper punishment and chastised CAIR-OH for refusing to withdraw their support for the terrorist, he was publicly rebuked by Ahmad Al-Akhras and others for deviating from the CAIR line of maintaining Abdi’s innocence at all costs. The most recent guilty plea by Columbus Al-Qaeda member Christopher Paul, however, provided a particularly difficult conundrum. Not only was Paul an active and well-known member of Masjid Omar, for years he had been the martial arts instructor for the mosque, presumably providing members there with jihadist training. This no doubt prompted Al-Akhras’ full-court media press at the time of Paul’s arrest. And now that Paul has admitted his guilt and acknowledged that he had conspired to use weapons of mass destruction against US citizens at home and abroad, CAIR’s continued silence is as condemning as the respective guilty pleas by Iyman Faris, Nuradin Abdi and Christopher Paul. 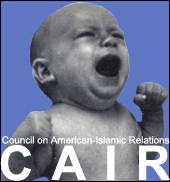 Considering that our local terrorist cell is the largest known Al-Qaeda operation in the US since 9/11, and that these convicted terrorists were close associates to CAIR officials (by their own admission), the campaign of silence by CAIR has becoming deafening.